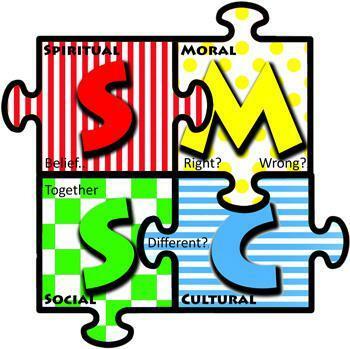 SMSC stands for spiritual, moral, social and cultural development. All schools in England must show how well their pupils develop in SMSC. As part of work in this area, it meets Article 2 for the Rights of the Child where they apply to every child without discrimination. The opportunity for children to reflect on their learning and progress and to learn from this reflection. Opportunities for children to explore and understand human emotions and the way they impact on people through English, Drama, Music and Dance. “When we work in Science, it helps if we listen to each other." Reinforcing our school’s cultural values through assemblies, learning, displays and photographs.